Like most children his age, Tyne is a huge fan of Paw Patrol! 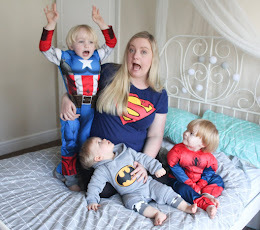 It always amazes me how children seem to pick up on trends when it comes to kids entertainment, Tyne doesn't even watch much TV (preferring to watch YouTube kids instead!) and doesn't yet attend Nursery so rarely sees other kids his age - yet somehow he seems to start getting into whatever new cartoon is on trend at the same time as other kids do...go figure?! Paw Patrol became the new favourite a few months back, and we started to let him watch an episode before bed on Netflix each evening - it's quite a charming little show as far as kids TV goes, and it's very cute to see him getting so into all of the different characters. Another thing Tyne is a big fan of is magazines - whenever we visit the supermarket he always has to go and have a look at the magazine aisle, and we usually treat him to one a couple of times per month - so when we were given the chance to try out the new Paw Patrol magazine I knew it would be right up Tyne's street! I gave him the magazine after his bath one evening, so that we could read it together before bed. The first thing he wanted to do, of course, was have a look at the free gifts - this is usually the main thing that interests him with magazines and it always amazes me how long he will play with the freebies for - to me they look like rather rubbish bits of plastic tat but to Tyne they are endlessly entertaining and his other, more expensive, toys will be cast aside in favour of them for the foreseeable future! 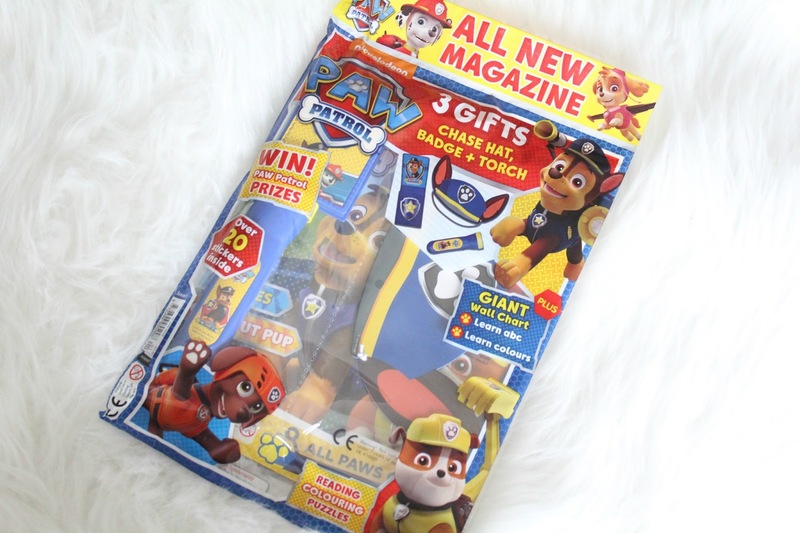 The gifts with the Paw Patrol magazine were Chase's hat (in a mask form), torch and police badge. Tyne expected the torch to actually work so he was a little disappointed that it didn't (although I never expected it to given the price of the magazine!) but he did love the hat and badge and played with them all evening. 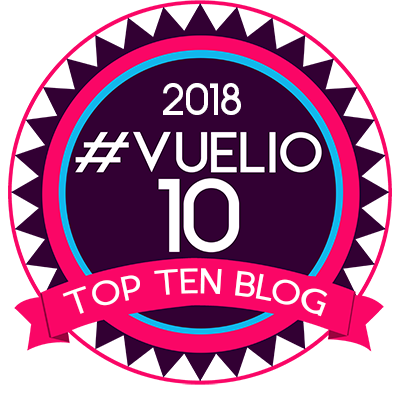 The magazine contains a good mix of stories and activities, as well as over 20 stickers - Tyne absolutely loves stickers at the moment so he was very pleased with this! He usually ends up wanting to stick them all over himself rather than using them in the activities that they're intended for and most magazines only give enough stickers to complete the activity, but I was pleased to see that this magazine included a lovely sticker of the pups which was intended purely for the child to use as they wished. Some of the activities in the magazine were slightly too advanced for Tyne who has just turned 3 - he couldn't quite grasp the idea of the Spot The Difference activities, and some of the letter tracing and counting activities were a little beyond him at the moment but I think they would be ideal for a child aged 4 or 5. However there were also many activities which were perfect for him and he really enjoyed the stories too. 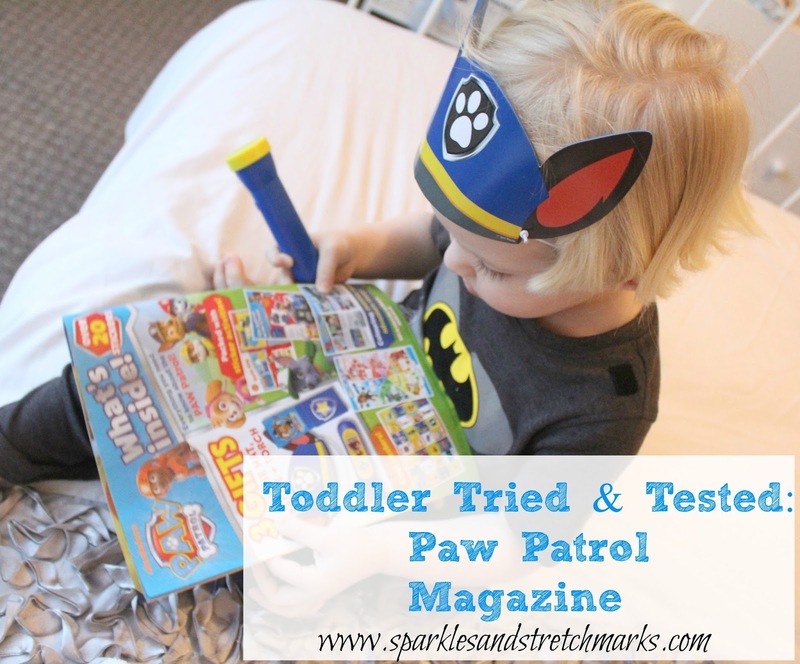 The Paw Patrol magazine is priced at £3.99 and I think it provides plenty of fun and varied activities for children, I would certainly be happy to purchase it again and Tyne seemed to really enjoy it. 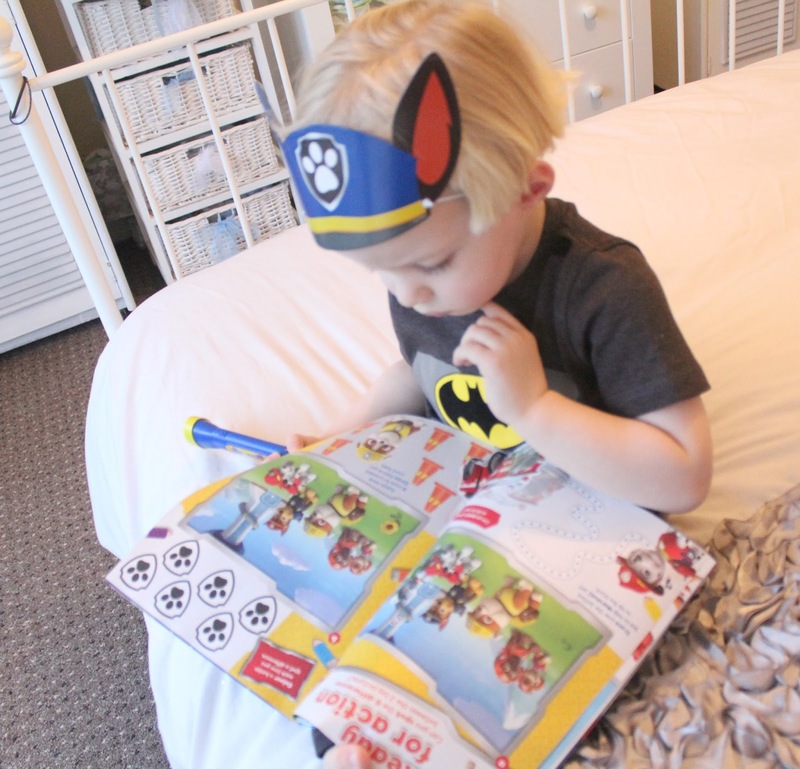 Is your child a Paw Patrol fan? Do you think they'd enjoy this magazine? Let me know in the comments below! How funny. I just got this for my 5 year old and he loves it. 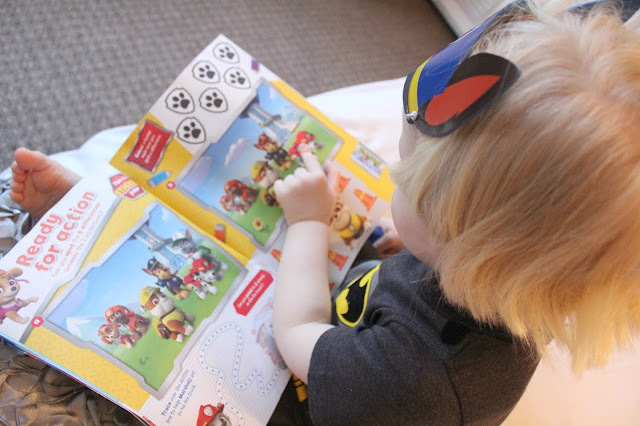 We also got a sticker book from Amazon, where he can collect stickers that come in packs of 5 for 50p. He loves it!